Puffin for Facebook is a special edition of https://alternativeto. Created by CloudMosa, Inc.
Puffin for Facebook is a special edition of Puffin browser optimized for Facebook users. Its motto is "Better for Less" -- a better user experience for less data usage. Less data usage is made possible by Puffin's wicked efficient data compression. Puffin Browser consumes 80-90% less data than other browsers or even native apps. The data savings are more significant on slower network connections, like in developing countries or during data roaming. Puffin for Facebook removes the traditional web browser UI for a fully immersed Facebook experience. Puffin UI is kept as subtle and intuitive as possible. 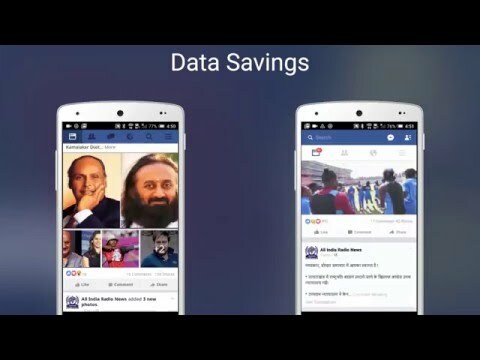 For example, monthly data savings are displayed when refreshing the news feed. To view an image in full quality, simply shake the mobile device. Puffin for Facebook was added by Shojimeguro in Apr 2017 and the latest update was made in Oct 2017. The list of alternatives was updated Jul 2018 There is a history of all activites on Puffin for Facebook in our Activity Log. It's possible to update the information on Puffin for Facebook or report it as discontinued, duplicated or spam. Swift for Facebook Lite is a free & lightweight alternative for both Facebook and Messenger. More and more people are switching from the Facebook Android app to the browser version. Toffeed is a wrapper for Facebook's mobile site that provides enhancements to the normal browser experience. Alternatives to Puffin for Facebook for Android, Android Tablet, Windows, Mac, iPhone and more. Filter by license to discover only free or Open Source alternatives. This list contains a total of 25+ apps similar to Puffin for Facebook. No reviews yet for Puffin for Facebook, want to be first? Maybe you want to be the first to submit a comment about Puffin for Facebook? Just click the button up to your right!